Exceeding Client Expectations. Because each company has unique needs, we identify and recruit professionals who hit the ground running. Because we care about our candidates, we develop long-term relationships that help them achieve their career goals, so we attract and place great talent. Being knowledgeable, agile, scalable and able to pivot with the market’s changing needs has kept us growing over the last 40 years. Each candidate is vetted through a proven, thorough process. Interviewed either in person or through skype, and passing skills tests to be certain that we send you only the most qualified talent. Upon engagement with TBG, we begin by taking the time to acquaint ourselves with your company culture and learn as much as we can about what makes a successful placement. Because of our size, breadth of relationships, and long track record, we are able to provide the personalized client focus of a boutique firm with the resources available to a larger organization. Michael Sohnen joined TBG in 2014 and is the Practice Director of Construction, Engineering, and Architecture. 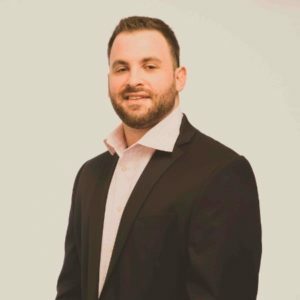 Michael is skilled in advanced recruiting techniques and networking, as well as the screening and careful selection of talent for both clients and his own internal team. The A.C.E team focuses on providing top tier candidates for clients across all business lines and disciplines. The team partners with reputable General Contractors, Developers, Consulting Firms, etc. Their focus is primarily in the PA/NJ/NY areas. Michael and his team are happy to speak to any job seeker or employer looking for talent. If interested in a conversation, please reach out to us at 212-279-7777. TBG has helped us in many areas of our firm, ranging from property management to finance and accounting related positions. They have been knowledgeable of the market conditions with deep relationships in the NYC real estate community. For us they have acted as more than the typical recruiter, they have become trusted partners in our firms growth. Chris Papa is a friend and was a trusted resource during the formative years of Mosser Capital. He and his team have an in depth knowledge of the real estate industry across the US and I highly recommend them to any firm looking to take the next step in their growth. Bridge Partners is a multifamily investment firm located in Walnut Creek, CA. We don’t have a large headcount and we are not located in a major city so sometimes attracting talent for certain positions is difficult. Since 2011, Chris and his team have done an amazing job finding top notch analysts and asset managers to join our team. Whenever I have a question regarding real estate hiring market trends and/or need a position filled, he is my first call. Communicate directly with a recruiter. Stay up to date on latest employment news.